If you are a fan of Rajinikanth, then you are up for a treat. Just like you, millions of other fans are waiting for Rajni’s next big movie – Kaala. Produced by Dhanush and directed by Pa. Ranjith, Kaala movie is expected to be one of the biggest Tamil films of 2018. Amidst all the controversies related to Kaala, the film is set for a 7th June release. From Kaala movie songs to Kaala trailer – here’s everything we know so far about the upcoming Tamil flick. 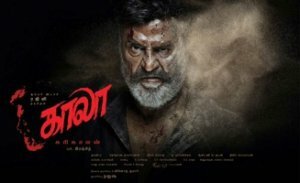 Kaala is a Tamil movie, starring Rajinikanth in a lead role. The movie is produced by Dhanush. It has been written and directed by Pa. Ranjith. The film is all set to be released on 7th June 2018 in four languages – Tamil, Telugu, Malayalam, and Hindi. Earlier, it was set for an April release. Though, due to Tamil Nadu’s Kaveri river water sharing controversy, the movie was rescheduled for a June release. Kaala movie is produced under the banner of Wunderbar Films. The first Kaala teaser was released on 1st March 2018. The Kaala teaser only gave us a brief look of the overall tone of the movie. Though, shortly after the release of the teaser, we got to know more about Kaala release date and cast. Here is a list of the major Kaala movie cast and crew. Needless to say, Rajinikanth would be playing the role of the protagonist while Eswari Rao would be the romantic lead. Huma Qureshi will portray the role of Kaala’s ex-girlfriend. We are yet to know more about other characters. As of now, it is confirmed that the official Kaala release date would be 7th June 2018. It will be released in four different languages nationwide. The director, Pa. Ranjith has already worked with Rajinikanth before in Kabali. Since the movie was a commercial blockbuster, it was announced in 2016 that the duo is working on another huge project. The production started in May 2017. It was first assumed that Kaala film will be a biopic of Haji Mastan. Later that year, Sundar Mishra (the foster son of Haji Mastan) released an open letter to the makers of Kaala. The letter threatened the makers that Haji should not be portrayed in a negative image. Afterward, Ranjith announced that the movie is not based on Haji Mastan (the gangster) in any way and is purely a work of fiction. Soon after, the first Kaala trailer was also released. While the exact story of the Kaala movie is not out, we do know certain inside details. It would be the story of a child who escapes to Mumbai from the city of Tirunelveli. As he moved to the city of dreams, he took an unforgettable path that made him a powerful don. Residing in the Dharavi slums of Mumbai, he now has to face the toughest obstacle while distinguishing between what’s right and wrong. According to the makers of the movie, the name Kaala is used to depict Lord Yama from the Hindu mythology. He is the god of death, which turned out to be an apt name for the character. 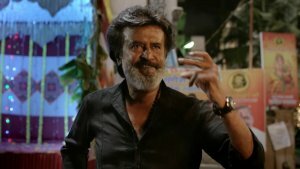 The Kaala film is not only amazing to look at, but has a handpicked collection of various songs as well. One of the best things about Kaala movie is that the soundtracks are released in Hindi, Tamil, and Telugu. Though, the major soundtracks are in Tamil. The music of the entire album is given by Santhosh Narayanan. Semma Weightu is the first single from the album, which is already trending nationwide for its upbeat tune. Besides that, there are some other Kaala movie songs as well that are trending. Some of them are Thanga Sela, Theruvilakku, and Kannamma. You can listen to the entire Kaala jukebox here. If you are a movie buff, then you should certainly download Snaptube on your smartphone. This freely available Android app has integrated tons of video hosting and sharing platforms together. Therefore, you can easily find the movies of your choice without investing your time. It has a fast-loading player that supports the streaming of high-definition content. Simply look for the movie of your choice and watch it as per your needs. From regional content to international flicks, you will find it all on Snaptube. Download this amazing Android app on your device right away and watch your favorite movies anytime and anywhere you want.